Having a projector to mirror the laptops or smartphones means all the entertainment lies in your pocket. Nothing is more important to maintain the interest of the business associates or the squad like a portable projector can do. That is the reason I am going to review the best portable smart android projector that I have on my list. Are you looking to mirror your Galaxy S7 Edge? Want to enjoy your camping with squad by watching all your favorite movies, videos, pictures? 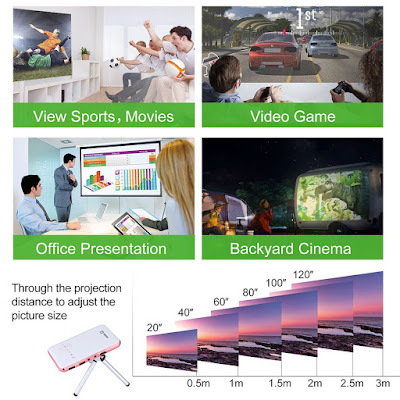 If yes, the only thing that can help you in doing so is the portable mini projector that comes in handy to project all the media present in your smartphone to a bigger screen. We had also covered up list of Best Portable Mini Wireless Projectors for Samsung Galaxy S7 Edge. Also make sure to check out the best collection of Latest gadgets and accessories for Samsung Galaxy S7 Edge. So, if you are on verge to hang out with friends and want something to project your media, then considering Aodin Mini Smart Android Projector for Samsung Galaxy S7 Edge would not be a wrong decision. If you are a travelling nerd and have to travel place to place, all the year round, then this compact projector is the best thing that you can have, as it provides the best projection whenever you need and wherever you want. With this projector, you can watch films, videos or any other visuals on a big screen, without having to crowd in front of smartphone’s small screen. 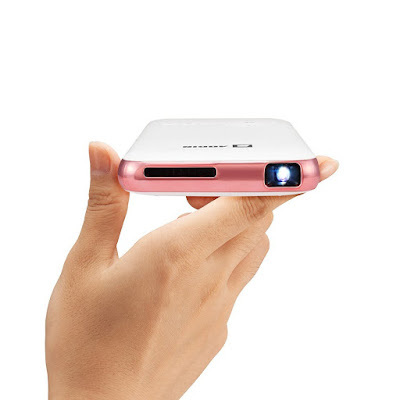 You can turn your home into a fully equipped home theatre just with this slim and compact mini projector. Next feature that you might be looking for in a projector is its portability. Definitely, you don’t want to carry a hefty projector along with you, when you are on your business trip or on a travel with your friends and family. For this, you need a light and weightless projector that comes in handy for the ultimate experience of projection. So, Aodin Mini Smart Android Projector can help you with the ultimate portability as it only weighs 8.2 ounces band can fit exactly in your pocket, that you might not find in any other projector. With the out class portability, The Aodin projector offers the high quality video projection with the brighter colors, 1080p HD presentation and amazing contrasts, just like the one in your smartphone. Features HDMI INPUT only with 1080p display. 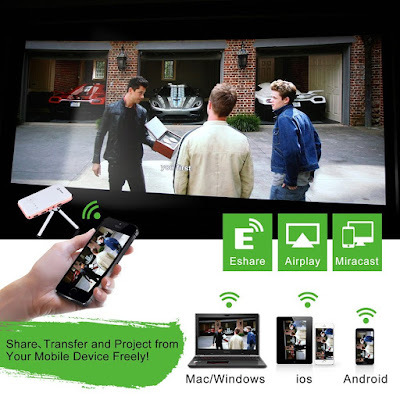 Offers Miracast, Airplay and Eshare function. Features powerful inner battery that can serve the purpose up to 3 hours- nonstop! You can’t resist to buy it. So, this is the mini wireless smart portable projector that can serve lot more than expected with your Samsung Galaxy S7 Edge. Offers amazing image quality and the best sound that offers advanced projection experience with great compatibility.